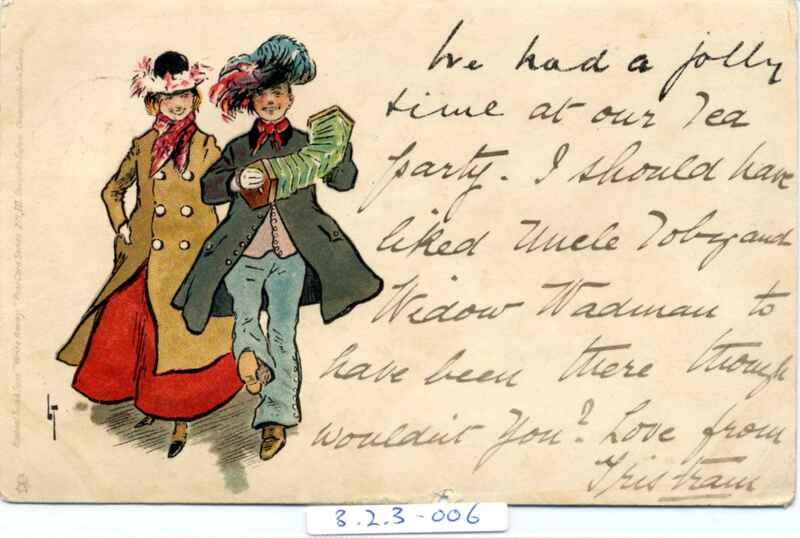 Full Description: A British colour-print post card of a jovial couple, one playing Concertina. Raphael Tuck Series. Posted July 1906. Another copy at 3.2.3-005 .